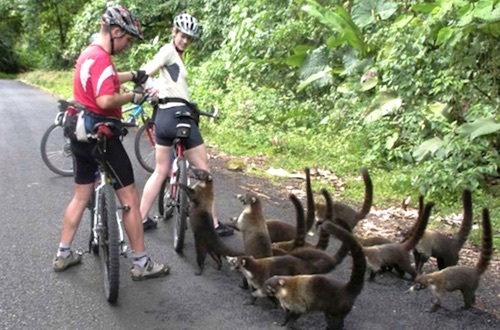 Why not escape the British winter with a long haul cycling holiday? Have fun getting off the beaten track in Thailand, cruise the fabulous backwaters of Kerala, marvel at the wildlife, cloud forests and volcanoes of Costa Rica. 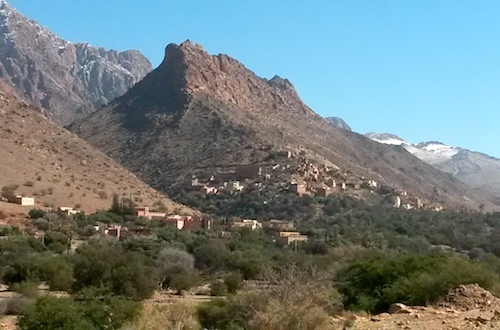 For the enthusiast we offer challenging tours to Japan and the High Atlas of Morocco, or you can go one further to our 'Tough' grade and cross the Celestial Mountains of Kyrgyz, known as the Swiss Alps of Asia. Our tours are popular, if you miss a dream holiday this year, why not contact the Tour Manager and express your interest in a future trip? Japan, the hidden secret of the east. Stay in traditional Inns with hot springs to relax in after your ride. A beautiful country with paddy fields, fishing villages, mountains, shrines, castles, amazingly healthy food and wonderful people. A moving-on tour with full backup. Fly London Heathrow/Tokyo. Japan, the hidden secret of the east. Stay in traditional Inns with hot springs to relax in after your ride. A beautiful country with paddy fields, fishing villages, mountains, shrines, castles, amazingly healthy food and wonderful people. A moving-on tour with full backup. Fly Manchester/Tokyo via London Heathrow . Japan, the hidden secret of the east. Stay in traditional Inns with hot springs to relax in after your ride. A beautiful country with paddy fields, fishing villages, mountains, shrines, castles, amazingly healthy food and wonderful people. A moving-on tour with full backup. Japan, the hidden secret of the east. Stay in traditional Inns with hot springs to relax in after your ride. A beautiful country with paddy fields, fishing villages, mountains, shrines, castles, amazingly healthy food and wonderful people. A moving-on tour with full backup. Fly Manchester/Tokyo via London Heathrow. A fully supported adventure through the Heavenly Mountains. Cross remote high passes overlooked by snow-capped peaks, descend through deep gorges to flower filled meadows on the banks of Son Kul Lake and overnight in a shepherd's yurt. Learn about nomadic culture and experience their hospitality. Fly London Heathrow/Bishkek. A fully supported adventure through the Heavenly Mountains. 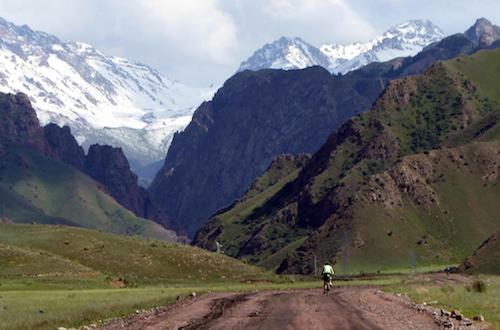 Cross remote high passes overlooked by snow-capped peaks, descend through deep gorges to flower filled meadows on the banks of Son Kul Lake and overnight in a shepherd's yurt. Learn about nomadic culture and experience their hospitality. 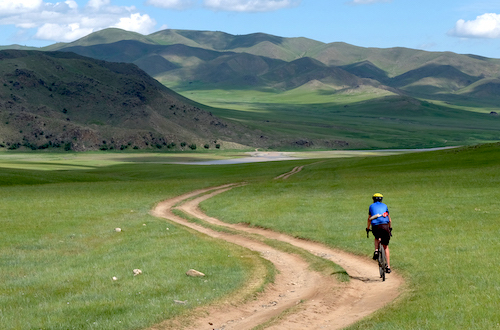 A challenging tour for fit adventurous cyclists, all off-road and travelling through remote areas. From Ulaanbaatar fly to the Gobi desert. The route to Karakorum traverses desert, mountains and vast open plains, home to the remaining traditional nomadic people. Some accommodation will be in tents (wild camping) and in yurts (tourist Ger camps). Fly London Heathrow/Ulaanbaatar via Istanbul. This new tour in India's tropical region includes two nights at the old hill station of Ooty, with its famous preserved narrow gauge railway. 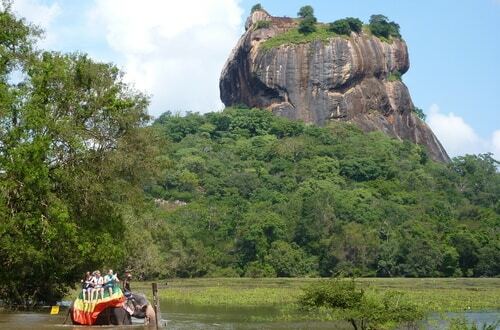 It will be served by the same excellent backup team that has worked with CTC Tours in Southern India for 18 years. Fly London Heathrow to Bangalore, returning from Mangalore. Travel by cycle and by boat through spectacular mountain and jungle scenery of one of the least travelled countries in SE Asia. Experience the Mekong River as well as Luang Prabang, with its colourful temples, and a stopover in Bangkok. Full vehicle support. Fly London Heathrow/Bangkok/Chiang Rai, returning from Bangkok. Nature lovers look no further! This tropical jewel teems with wildlife and natural wonders from cloud forests to volcanoes, jungle and pristine Pacific beaches. Cosy guesthouse and hotel accommodation. Mostly tarmac roads and easy tracks. Includes a boat trip and transfers. Fly London Gatwick/San Jose. 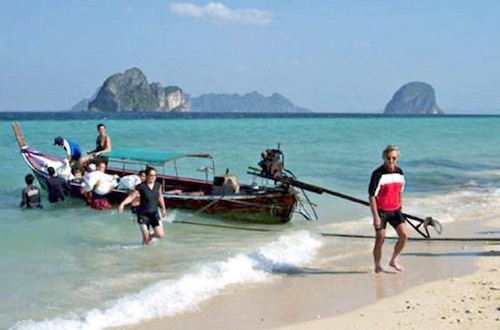 Experience Bangkok then have fun getting off the beaten track and beyond the big resorts. Discover tropical forests and islands with golden beaches and friendly people. Explore ancient temples and royal palaces. Lots of rest days, swimming, snorkelling. Suitable for anyone with a sense of adventure. Internal flights included. Please note that the dates and prices shown are provisional. The Great Ocean Road is one of the world's most iconic routes built by soldiers returning from WW1, home to many shipwrecks and the lush Otway Rainforest. The Bellarine and Mornington Peninsulas offer some stunning views. Be amazed at the antipodean animals and birds such as echidnas and wallabies. Fly London Heathrow/Melbourne via Abu Dhabi. The Great Ocean Road is one of the world's most iconic routes built by soldiers returning from WW1, home to many shipwrecks and the lush Otway Rainforest. The Bellarine and Mornington Peninsulas offer some stunning views. Be amazed at the antipodean animals and birds such as echidnas and wallabies. Fly Manchester/Melbourne via Abu Dhabi. 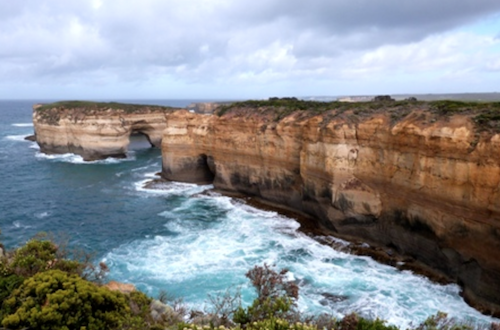 The Great Ocean Road is one of the world's most iconic routes built by soldiers returning from WW1, home to many shipwrecks and the lush Otway Rainforest. The Bellarine and Mornington Peninsulas offer some stunning views. Be amazed at the antipodean animals and birds such as echidnas and wallabies. A tropical paradise. Warmth and sunshine, palm fringed beaches, tea, coffee and spice plantations, friendly people and superb South Indian cuisine. Witness sunset from Cape Cormorin. Cruise the fabulous inland waterways on converted rice barges. Visit Cochin’s antique and spice warehouses. Fly Glasgow International to Trivandrum, returning from Cochin. A tropical paradise. Warmth and sunshine, palm fringed beaches, tea, coffee and spice plantations, friendly people and superb South Indian cuisine. Witness the sunset from Cape Cormorin and cruise the fabulous inland waterways on converted rice barges. Visit Cochin’s antique and spice warehouses. Fly London Heathrow/Trivandrum, returning from Cochin. A tropical paradise. 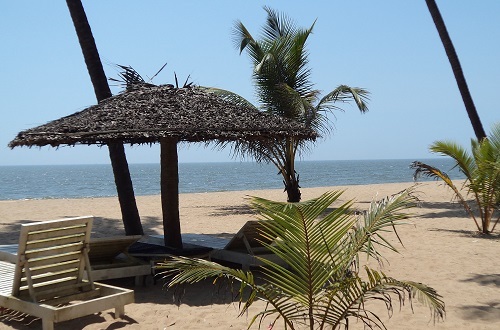 Warmth and sunshine, palm fringed beaches, tea, coffee and spice plantations, friendly people and superb South Indian cuisine. Witness sunset from Cape Cormorin and cruise the fabulous inland waterways on converted rice barges. Visit Cochin’s antique and spice warehouses. Fly Manchester International to Trivandrum, returning from Cochin. A tropical paradise. Warmth and sunshine, palm fringed beaches, tea, coffee and spice plantations, friendly people and superb South Indian cuisine. Witness the sunset from Cape Cormorin and cruise the fabulous inland waterways on converted rice barges. Visit Cochin’s antique and spice warehouses. 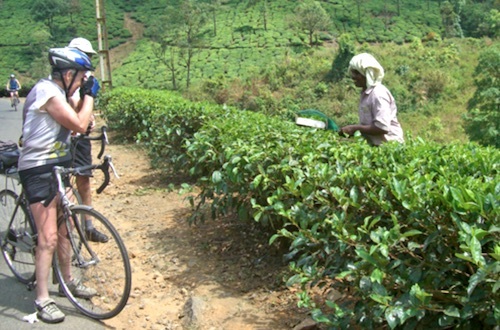 Recognised by Lonely Planet in 2012 as their top holiday destination, Sri Lanka certainly packs in a lot of interest for the cycle tourist. This new end-to-end tour has been designed to show this diversity and take in many of the country’s main highlights. 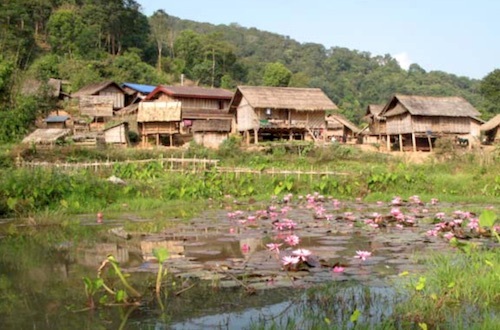 An adventurous, moving-on tour through the northern provinces of Vietnam. Superb karstic scenery, gorges, rice paddies, ethnic tribal groups, colourful markets and one night at World Heritage Ha Long Bay. Luggage transfer and vehicle support. All meals provided on cycling days. Fly London Heathrow/Hanoi via Bangkok. 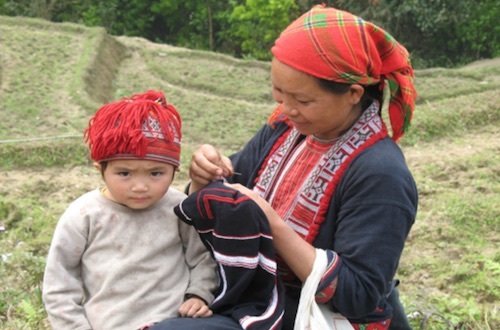 An adventurous, moving-on tour through the northern provinces of Vietnam. Superb karstic scenery, gorges, rice paddies, ethnic tribal groups, colourful markets and one night at World Heritage Ha Long Bay. Luggage transfer and vehicle support. All meals provided on cycling days.